Akinroyeje Olumide Ayodeji has been cleared by the League Management Company to join any football club of his choice after a confirmation that his contract with Sunshine Stars has expired. This follows his earlier written request made to the LMC seeking to establish that his contract with the Akure-based outfit has been seen out. The player’s request to the LMC was sequel to the club’s refusal to release him after a formal request to leave the club. The LMC investigation according to the documents made available showed that Ayodeji's contract with Sunshine Stars ended on December 31, 2018. Salihu Abubakar, the LMC Chief Operating Officer in a letter addressed to the player through his intermediary Mr. Ogbemudia Endurance Iseri noted that the confirmation as an out of contract player by the League body is in consonance with Article B9.59.3 of the NPFL Framework and Rules. The player's intermediary Mr. Ogbemudia Endurance Iseri lauded the Management of the LMC for their swift intervention on the issue, which has given Olumide a new lease of life. "Some Club Management are not fit to be saddled with the responsibility of running football clubs in Nigeria, football administration is not based on sentiments or feelings, it's absolutely on regulations that guides the participating clubs". Ogbemudia stated. 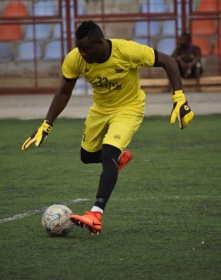 According to Mr Ogbemudia, Olumide is also owed over 8 months salary of about N2m by Sunshine Stars FC, which he has already began the process of recovering the player's entitlements from the club.